WWRSD? : Brooklyn BBQ in Austin, TX TODAY! 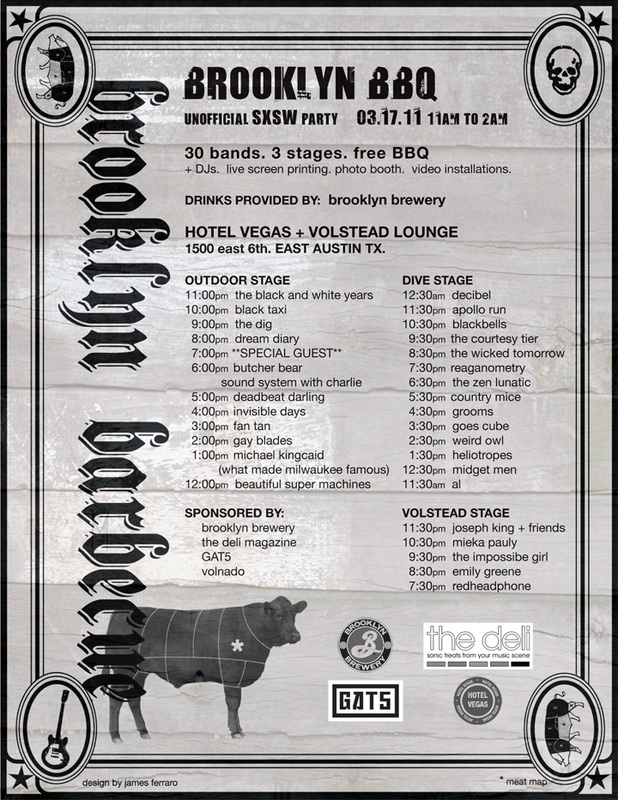 The Brooklyn BBQ hits today with 30 bands, 3 stages, free BBQ and beer, art, photobooths, etc. Come by today from 11am-2am at Hotel Vegas (1500 E. 6th St, Austin, TX)! Last Night, Rocker Stalker Said…: SXSW 2011 RECAP!